Roboxa Technologies Sdn. Bhd is an enterprise Smart Glass solution provider. With a global footprint across APAC and US, they mainly focus on providing innovative, seamless and functional solutions, spanning across Aerospace, MRO, Logistics, Healthcare, Retail, Automotive, Public Sector etc. 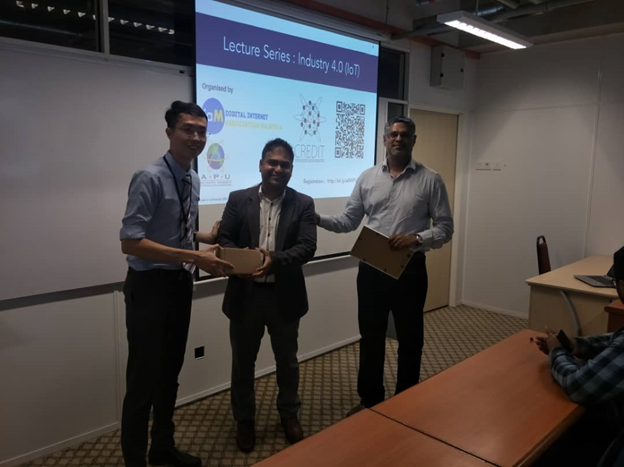 Due to their expertise, Centre for Research and Development of IoT (CREDIT) take an opportunity to organize IOT Guest Lecture on Smart Glass by Mr. Navin Karan, a Head of Sales Roboxa Technologies Sdn. Bhd based in Malaysia. 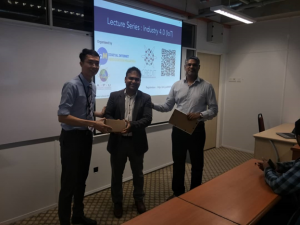 The aim is to expose students with the current IOT trends & technologies as well as the widespread adoption of IoT technology across all industries around the world. Throughout the session, Mr. Navin Karan provided an insight into Smart Glass Technology from a practical point of view. 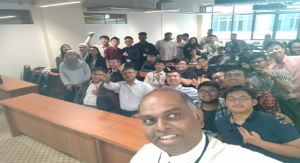 He demonstrated the technology and provide real-life experience to students. Students had the opportunity to explore the technology and learn how it works. They demonstrated high interest in the talk and were enthusiastic to participate during Q&A session. 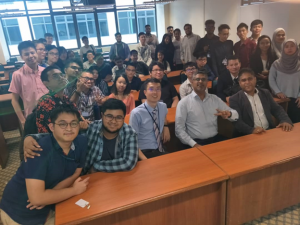 4 lecturers; Dr. Tan Chye Cheah, Kamalanathan Shanmugam, Nur Khairunnisha Zainal, Intan Farahana Kamsin and 35 students were involved in the session which conducted on 18th March 2019 (2pm – 4pm) at B-8-09. 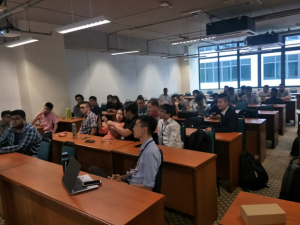 Overall, the session received overwhelmed feedback from students. The two hours session was really beneficial for the students, and they were enjoyed the session. A strategic center at APU to build industry capable talent and catalyse the research and collaboration in the IoT sector.